A few years old and not made any more. This has been donated for our Wildlife Charity. Very good condition. 4 on the middle right hand side - only a tiny spot. PC Borage Badger. Tales of Honeysuckle Hill. REGENCY FINE ARTS. ISSUED 2002. ACKERMAN GROUP PLC. 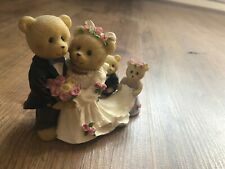 Keepsake Teddies - Wedding Ornament by Avon Great Condition. Condition is Used. Dispatched with Royal Mail 2nd Class. New listingRegency Fine Arts "Bucket Baby". Collectables/ Decorative Ornament. Regency Fine Arts "Bucket Baby". Condition is Used. Dispatched with Royal Mail 2nd Class or 1st, buyer choice. It is made by Reutter Porzellan Germany and is stamped on the underside with The Cutlery is Stainless Steel and decorated in Art Nouveau style. The World of Beatrix Potter™. It has two carry handles, a leather strap and working open/close turn clasp. Mystical Mice Collection "Mouse Magic" by Regency Fine Arts. Regency Fine Arts Porcelain Ballerina Figurine. In great condition with no chips or cracks. Measures 14cm height, the length 17.3cm. Please see the images as part of the description. All are by Regency Fine Arts, but from various ranges. Differing sizes and ages. As the UK's number one heart charity, the cutting edge research we fund has already made a big difference to people's lives. 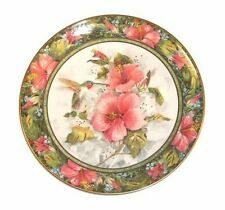 Regency Fine Arts Tea "N" Treat Floral Cup And Saucer Gift Set. Regency Fine Arts - "Tea 'n ' Treat" China mug and small plate. Unused still in box (box a little dirty). Lovely little novelty trinket box. In lovely condition. I am selling other items and will combine postage for multiple purchases. Thanks for looking. 3 Dragon snow globes produced by Regency Fine Arts. 1 is a seated dragon on a base of skulls and bones 90mm high and 75mm wide. No R38382. Excellent Condition. Height 5.5ins/13cm – Width 2.5ins/6cm. Recency Fine Arts Ice Dragon Dragonspell Hand Painted 2000 . Condition is Used. No visable chips or cracks. It's missing the pearl/jewel that it should hold in its hand Dispatched with eBay delivery – Shutl 2-3 days. A lovely collection of Fantasy Fairies produced by Regency Fine Art. Approx Height approx 10-11cm All in good condition. 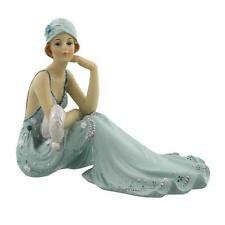 Rare Regency Fine Arts Jolly Vintage Figurines In good pre~loved condition. Also some other little figures and magnet included. Please see photos as these form part of my description. Genuine buyers only please who are happy with what they see. Regency Fine Arts Noire Male Physical Bronze Spelter Figurine. Condition is Used. Dispatched with Royal Mail 2nd Class Signed For. Fine detail of the young male torso with great muscular accentuation. 3/4 length figurine which measures approx 23 cm high. Wooden ornamental gypsy traveling caravan with metal wheels and hanging pans. Fantastic collection of miniature china teapots depicting woodland animals. 12 x Collectable Miniature Teapots. - 12 x Miniature China Teapots. By Regency Fine Arts. - 4 of each Design. Goods can only be dispatched / collected upon clearance of funds. Regency Fine Arts. Nine The Tales Of Honeysuckle Hill Figures In Original Tins. Regency Fine Arts. Nine The Tales Of Honeysuckle Hill Figures In Original Tins. Lilly May mole, Winifred Bramble Hedgehog, Russell Ragwort Rabbit, Tommy Teasel Hedgehog, Nurse Bryon Badger, Angelica Frog, Ted Mugwort Mole, PC Borage Badger and Rosemary Rabbit. Dispatched with Royal Mail 2nd class. 12 x Collectable Miniature Teapots. Fantastic collection of miniature china teapots. - 12 x Miniature China Teapots. By Regency Fine Arts. Goods can only be dispatched / collected upon clearance of funds. Heavy too.weighs just over 1 kilo. “ Physical”. Kit Kat mug in photo is to show size and is not included. REGENCY FINE ARTS BEARS. "Studying". Regency Fine Arts Figurines Noire Collection - Two Figures "Freedom"&"Physical"
(This does not include Ireland or islands). (This covers all of the UK). - Size : approx 300mm tall. Goods can only be dispatched / collected upon clearance of funds. SWEET BOUQUET Teddy Holding Flowers Regency Fine Arts. Condition is Used. Dispatched with Royal Mail 2nd Class. Please look at the pictures. REGENCY FINE ARTS. BACKSTAMP: PER PHOTO. DR DOCKLEAF HERON - R38384. ALL BOXED. Regency Fine Arts Limited Edition Collectible Teddy Bear Figurine "Storytime"
P re owned in pristine condition with no original box or certificate. THIS IS A SUPERB EARLY 19th. CENTURY (REGENCY - 1790 - 1830) HAND GILT PAINTED JAPANNED TOLEWARE TRAY THAT DATES, I WOULD GUESS, TO THE LATTER PART OF THE REGENCY PERIOD (1820's) AND IS MOST PROBABLY OF BRITISH (WOLVERHAMPTON) MANUFACTURE. Regency Fine Arts illuminated Teapot. Condition is Used. 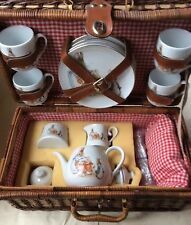 Wonderful condition - selling on behalf of my partner- please see my other auctions, the entire collection has to go Dispatched with Royal Mail 2nd Class Any questions, please ask Thanks for looking Andy . Regency Fine Arts Limited Edition Collectible Teddy Bear Figurine "Sebastian"
" Sebastian". P re owned in pristine condition with no original box or certificate. Regency Fine Arts, Limited Edition Collectable Teddy Bear Figurine "Constance"
Teddy bear "Constance" sitting on a travelling case holding a favourite doll, on the back of the case is C RFA, on the underside of the base is the Regency Fine Arts Image and product information. Two gorgeous Westie's sitting in a Wheelbarrow. Simply beautiful condition ! Width approx 5 1/2".